Gratitude!!! A huge thank you to all who attended the artists’ reception for Jody Neugebauer and myself last month at Stonewall Gallery! The gallery curators did a tremendous job installing the pieces and finding the perfect space to hang each painting—the entire gallery was covered! I am filled with gratitude to finally have seen and met so many who have long supported my work and came out for the event. 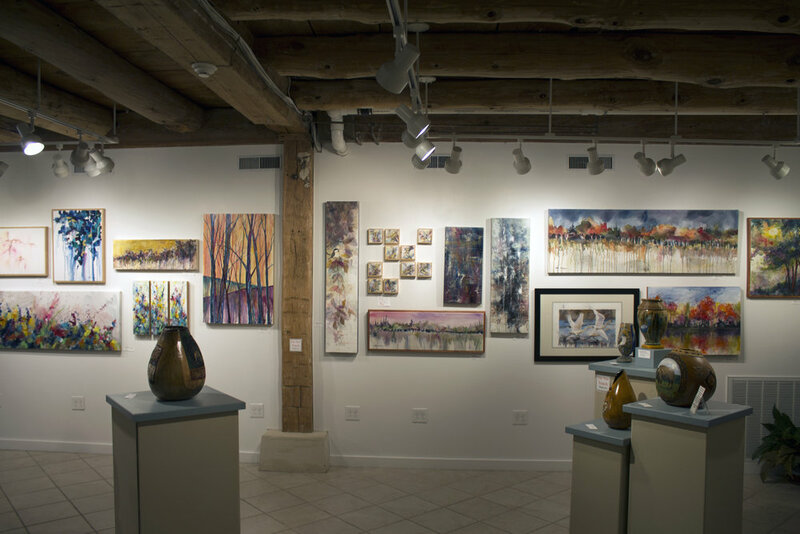 The roads were clear, the parking lot was full, and the Gallery was buzzing with happy people enjoying the show. I hope I was able to chat with everyone that wanted to speak with me, and I’m so happy that there were so many kind words exchanged. If you didn’t get to come yesterday for the opening, there is still plenty of time to check out the show....or feel free to revisit if you’ve seen it already! 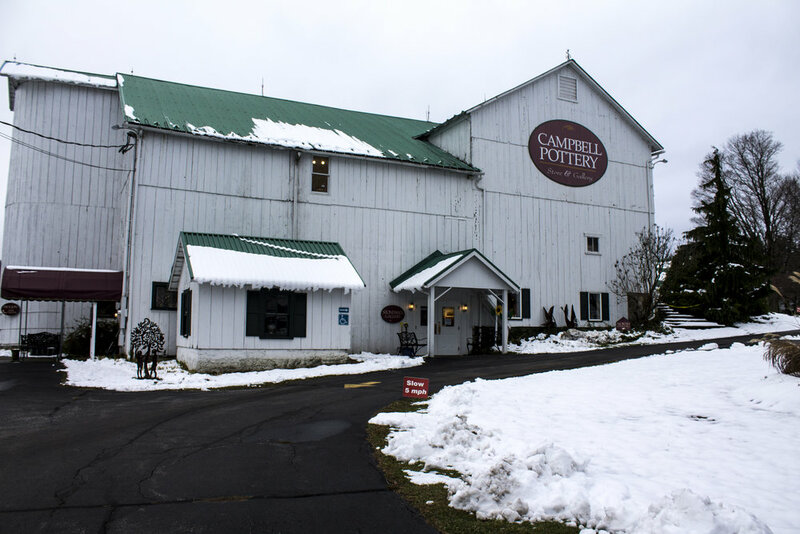 The Campbell Pottery Store is open 7 days a week for the Christmas season! My show, CLARITY, is up and ready for viewing (and buying!) until December 9th. Thank you again! More photos to come! Rock Out Erie causing an avalanche! I like to doodle and think and create. Enter Rock Out Erie- the local viral phenom that has everybody painting and looking and hiding Rocks! It is a pay it forward make you feel good social event the area has needed for some time. Everyone can take part and have fun. Young and old, skilled and newbies, it doesn't really matter. I thought I would do a few as a way to share my art and perhaps make more people aware of who I am and what I do. Geckos, lizards, newts whatever you choose to call them, I just have fun with them! The Flamingoes were an even bigger hit! Can't wait to get your hands on one of these? Who will be able to find them? Clue Mania- Good Luck and please support local artists like me! I will be hiding these over the next couple days starting Monday July 24th. 9. You know there will be one here, naturally! Summer is so brief in our neck of the woods you just don't want to waste a moment. Anticipating all the traditional family goings on and adding a few more (and sadly, probably not having everyone present when they used to be such a fixture) So to me , I am reminded that on this memorial day weekend, of the countless men and women that fought and insured that we can indeed enjoy our summers - and all seasons. Without their commitment it would be all moot. Don't let summer slip on by, savor every last morsel! Very hard at work in the studio this week as I am preparing a selection of items that I would refer to as usable art. Not all people feel the immediate need to appropriate an original piece of art but still very much appreciate it. So coming up with items that can be useful in some way, and yet reflect my artistic style, well, that's what I am after. Not trying to reinvent the wheel but sometimes opening people up to the idea they can own something artful and unique albeit a "something that gives a functional purpose". In my mind, this gives a person permission to start exploring my art and who knows, somewhere down the line they might just be eventual buyers of my originals. There is something really appealing about that fresh space, blank canvas, or new sheet of paper. Aside from the traditional staring at that blank page and becoming paralyzed, beyond there is that sense of adventure, that anything IS possible. I CAN, I WILL! because I MUST! So join me with a new page turned onto this crisp virgin web site and along the way as it becomes worn, filled in, coffee stained and comfortable, perhaps we can become acquaintances that speak the universal language of art. Peace!